NASSAU, The Bahamas (February 25, 2019) – Marathon Bahamas awards top male and female resident marathon winners with a prize presentation from platinum sponsor, ALIV. The award-winning Sunshine Insurance Race Weekend celebrated its 10th anniversary running of the marathon, half marathon, relay and its ninth running and partnership with the Susan G. Komen Bahamas Race for the Cure® 5K. Yunelis Lightbourn, the overall female resident winner, said it was an amazing moment when she crossed the finish line and realized there was no other female from The Bahamas ahead of her. “I had a goal in mind when I started to run. Being in that moment in time with all those people, the route, and the cheering, it just kept me going. It was a very exciting experience. I wanted to beat my time and I did,” said Lightbourn. Lightbourn said this year was her first time qualifying for the Boston Marathon and she has already signed up for the 2020 Marathon Bahamas. “The minute they opened registration I signed up. I always run the half marathon and I decided it’s now time for the full. I love it, I enjoy it and I will do it again and again as long as I am able to do so,” said Lightbourn. Irene Buccheri, wife of Simone Bertoldo, the overall male resident winner, accepted the prize on his behalf. “He was happy when he won but he always says he can do more. He did well and I’m sure he will try to improve his time, every time,” said Buccheri. The top male and female student participants were also recognized for their top performances in the ALIV Orange Nation student run. ALIV Orange Nation Marathon Bahamas is a voluntary program which allows students to register for free. Uriah Ingraham, the top male student, is a 10th grade student of R.M. Bailey Senior High, a member of the Royal Bahamas Defence Force Rangers and a GGYA participant. Brynae Jamie, Bastian, the top female student, is a 15 year old R.M. Bailey Senior High student and a member of the Police Cadet Program. The program is designed so that the students train and complete 25 miles before the actual marathon. Then, on the day of the event, the students will run the final 1.2 miles on the course. In addition to teaching students the importance of creating and fulfilling goals, this program seeks to promote and create awareness of healthy lifestyles, with a key focus on physical education. Jayme Pinder, Marketing Executive for Events and Sponsorships at ALIV, presented the winners with Samsung J6 phones. Pinder said every year the company looks forward to supporting the Sunshine Insurance Race Weekend. “We are more than just a telecommunications company and sponsoring these kinds of events is how we show our commitment to the community. We are extremely elated to be a part of something this major that’s impacting people all over the world and here at home,” said Pinder. Additional Platinum sponsors include Atlantis, FOCAL, Bahamas Ministry of Tourism, and Bahamas Local. Sunshine Insurance Race Weekend is in its eleventh annual running of the marathon, half marathon, relay and its tenth running and partnership with Susan G. Komen Bahamas Race for the Cure® 5K, January 18-19, 2020. Best marathon, finish line and music ever!!! And thanks for my age group award. I really enjoyed participating in the race yesterday. The cyclist who was with me for support and spotting was awesome! It was a wonderful event thank you and to your team to put on such a fantastic race. The course was beautiful a volunteers made it very special. I had so much fun at your marathon. I just shared the picture of Jeanette and myself oops… send to quickly. Anyway just want to tell you that you are a great RD, the race was awesome. I posted it on my FB, hopefully encourage others to come. Thanks again, well organized run. I wanted to personally compliment you on executing an excellent event this weekend. I have participated in the multiple half marathons in USA and Canada and found your event to be top-notch. The expo was good: friendly vendors, interesting products, good place to hang out for a bit with new running friends. One of my great joys is trotting along listening to visitors who are all saying the same things: the route is great, the organization is superb, the crowd support is fantastic, the location is amazing. It was great, very organized! We had an amazing time, from expo to end of race! Hope to do it again soon. We loved both races and our time in Nassau. We will be back next year. We enjoyed the Junkanoo costumes. The race was just perfect. Thank you, NASSAU!! Great review. We will be back next year and have added this race to our “annuals”. Great job, #MarathonBahamas. What a great event!! Will be back next year! It was a great race and lots of fun. 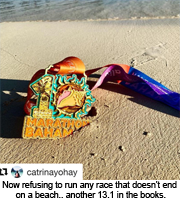 Look forward to telling people to come run the Marathon Bahamas. Thanks!!! I doubt there is any other race where one is given a complimentary beer at the end and can plunge into crystal clear turquoise waters to cool off. Had an awesome time and for a great cause! Yes, I come back the next year!!!!!!!! As a first time booth vendor, I thoroughly applaud the organization of the vendors. Vendor instructions provided were clear, timely and executed as vendors were told they would be. See you 2016! I would like to first congratulate you and the organizers on a great race two weeks ago. The event was well executed and the course fabulous. I ran the marathon and had an enjoyable and positive experience. I thoroughly enjoyed my marathon, I thought the course was lovely. My trip to the Bahamas was amazing, the people were so friendly and helpful. Thank you for the very well managed marathon! You run a great gig! I especially love the Bahamas marathon song! It is stuck in my brain! 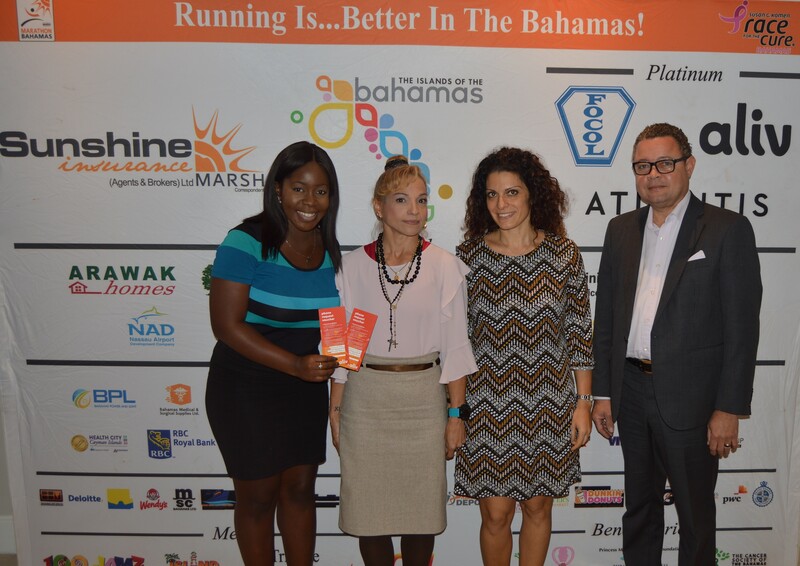 Thank you very much Marathon Bahamas for a delightful experience! Looking forward to next year! Thoroughly enjoyed it. Thank you! Looking forward to next year’s event! Congratulations on a very successful MARATHON BAHAMAS 2015. Sunshine Insurance is a role model organization in the private sector. The Bahamas is enriched by your contribution, as lives are saved. You and your team deserve every national commendation. It was my first 1/2 and definitely will not be my last, awesome course!!! 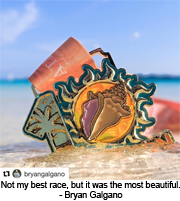 Thank you for a GREAT experience last weekend, as I made my 15th full marathon, in the Bahamas. Everything was perfect. It was wonderful!!! Loved it!! I look forward to next year’s! Great race – well run – next time we can skip the bridges !!! Great job to organizers – packet pick up was smooth quick and friendly ! See you next year for sure! Sunshine Insurance Race Weekend is in its tenth annual running of the marathon, half marathon, relay and its eleventh running and partnership with the Susan G. Komen Bahamas Race for the Cure® 5K, January 18-19, 2020.